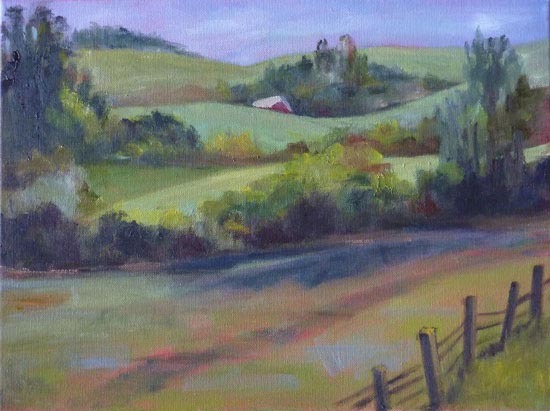 "Petaluma hills after rain" oil on canvas, 11x19in. "Adobe Rd. 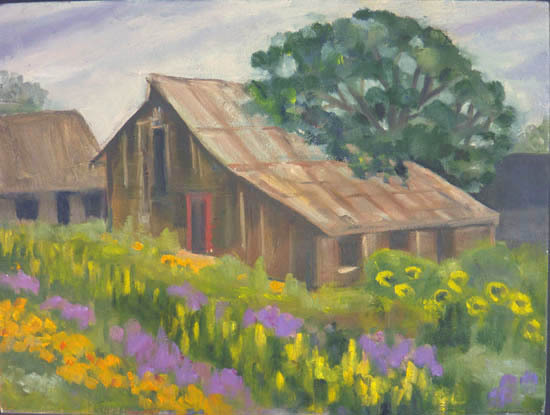 Farm" oil on canvas, 16x12in. 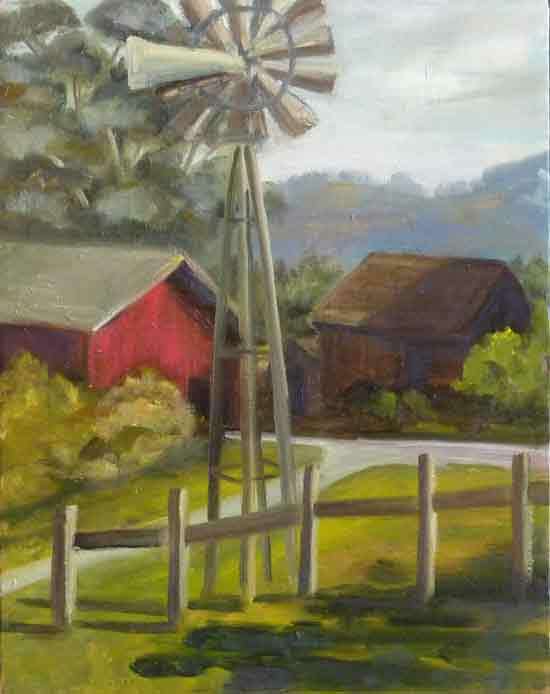 "Red barn with windmill" oil on canvas, 11x14in. 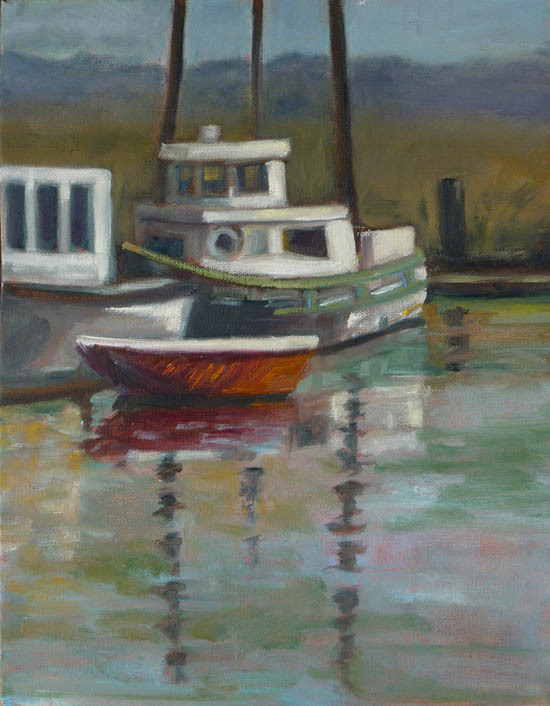 "Petaluma River" oil on canvas, 8x10in. 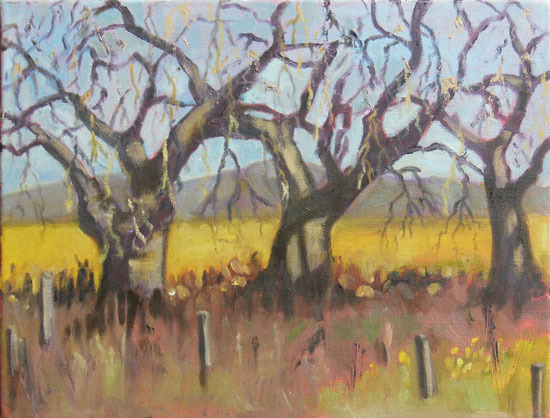 "Spring in Sonoma County" oil on canvas, 16x8in. "Taylor Mountain Path" oil on canvas, 16x8in. 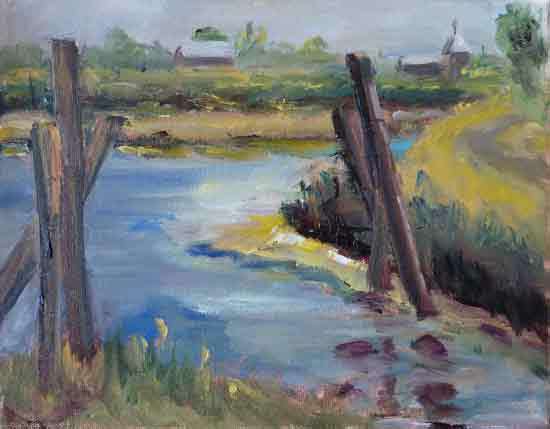 "Down by the River" oil on canvas, 16x8in. "3 Boats" oil on canvas, 11x14in. 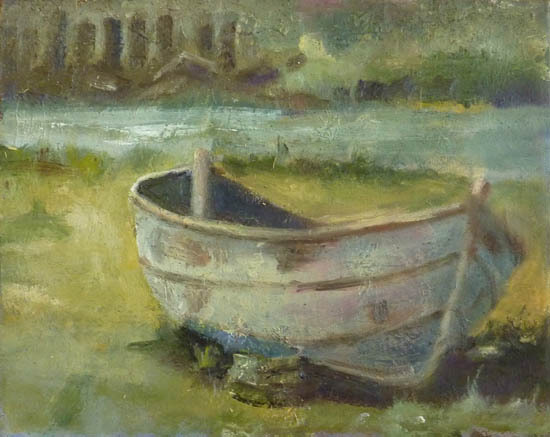 "Old Rowboat" oil on canvas, 10x8in. 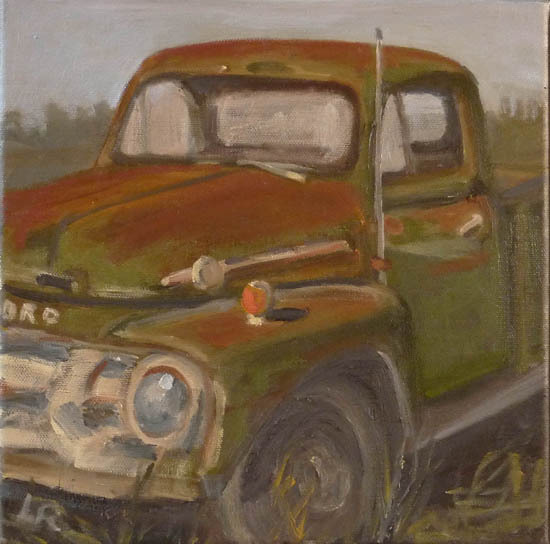 "Old Ford" oil on canvas, 10x10in. 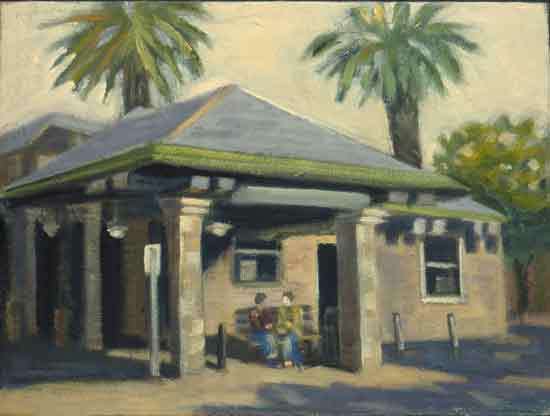 "Railroad Square Depot" oil on canvas, 12x9in. 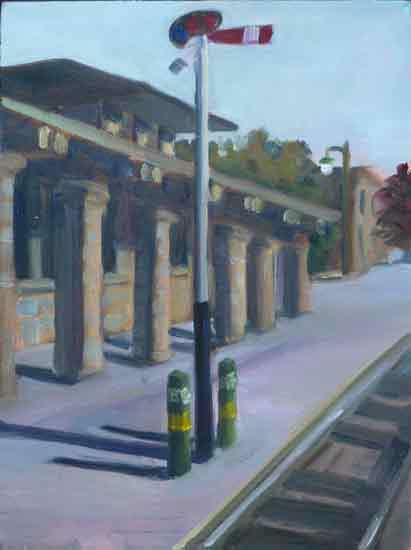 "Railroad Tracks" oil on canvas, 9x12in. 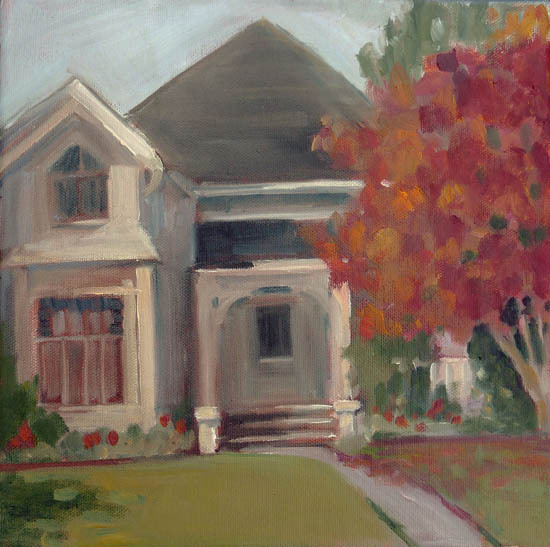 "McDonald Ave." oil on canvas, 10x10in. 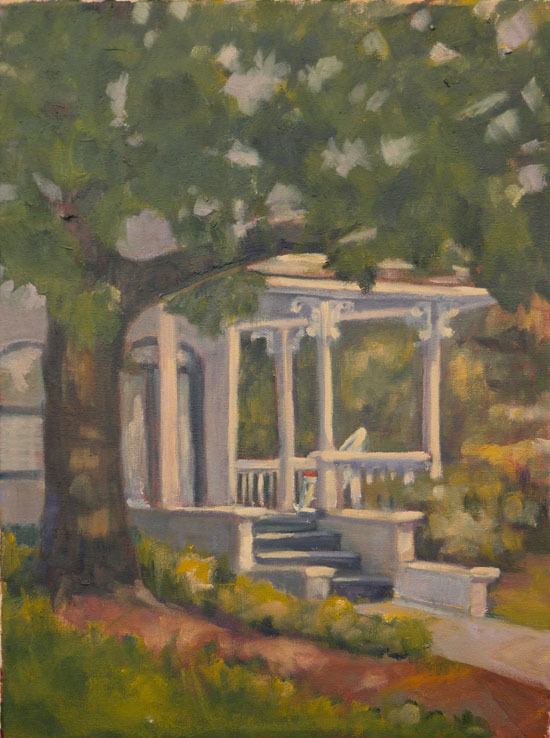 "McDonald Porch" oil on canvas, 12x16in. 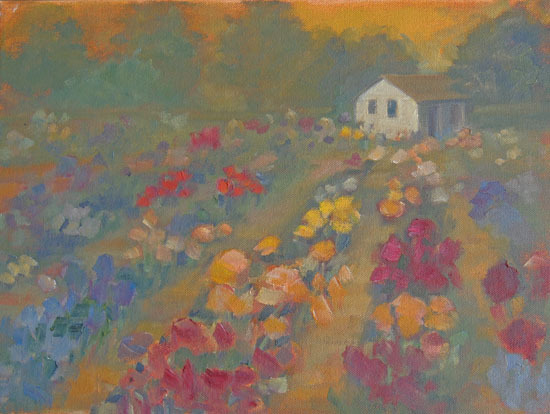 "Dahlia Farm" oil on canvas, 16x12in. 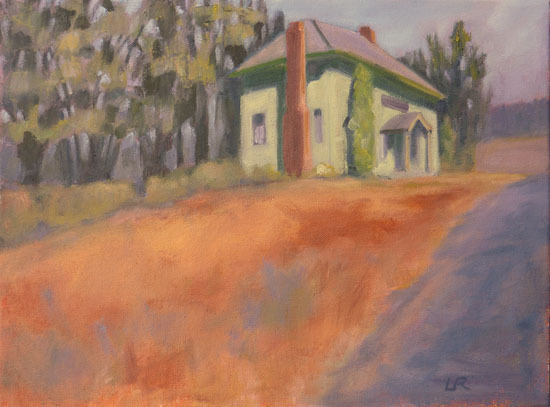 "House on the Hill" oil on canvas, 16x12in. "Laguna Oaks" oil on canvas, 14x11in. 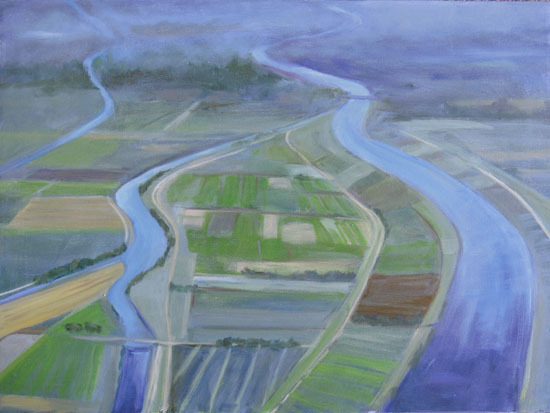 "Birds Eye View" oil on canvas, 24x18in. 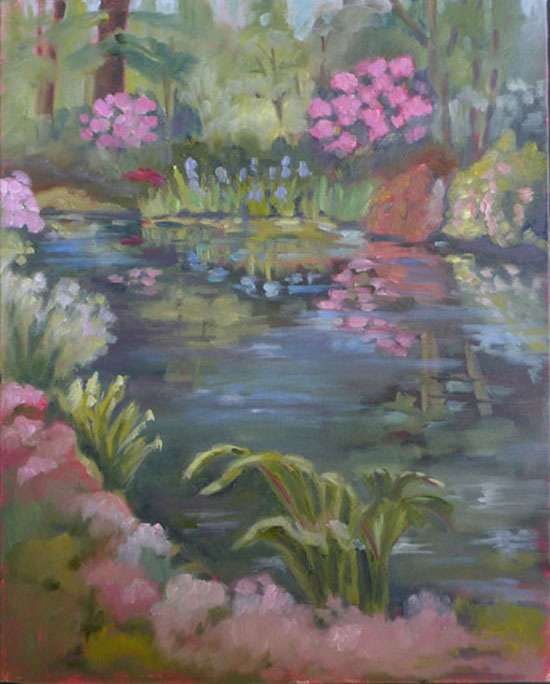 "Rhododendron Pond" oil on canvas, 16x20in. 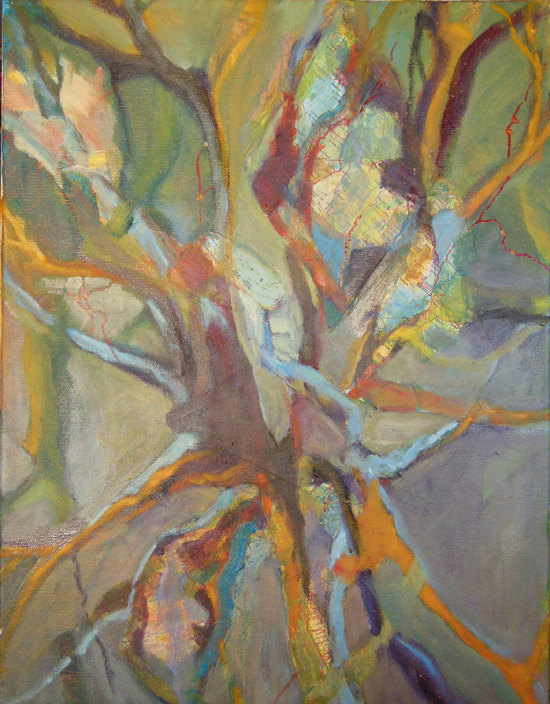 "Oak Tree" mixed media on canvas, 14x18in.